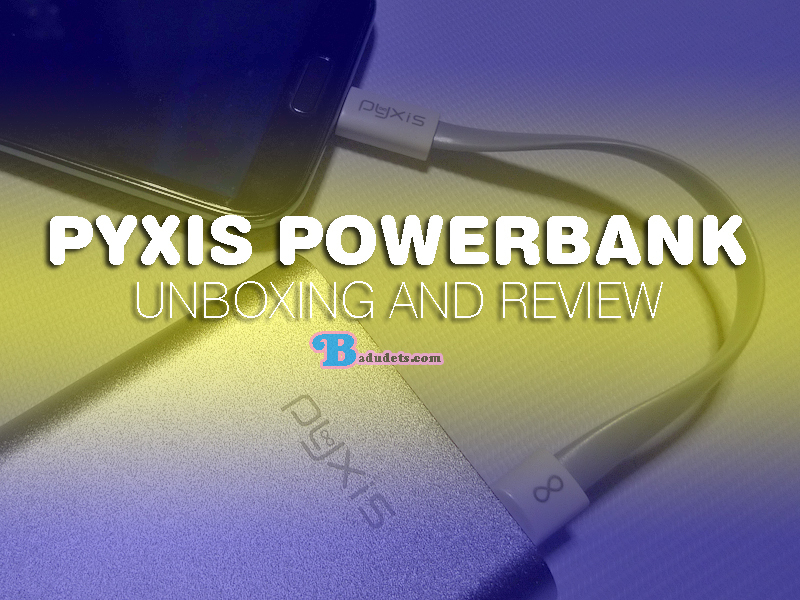 Xiaomi 16,000mAh Mi Power Bank review | Badudets Everything Nice! Lazada sold the Xiaomi 16000 mAh Mi powerbank for Php 1299, it’s smaller sibling, 10,4000 mAh Mi powerbank is sold at Php 645. 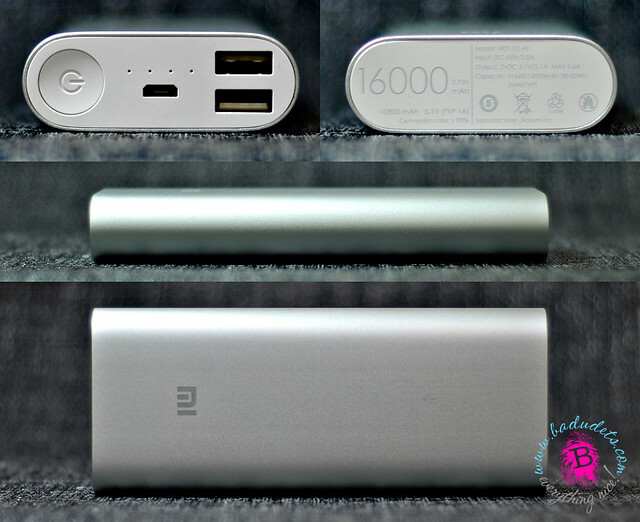 Xiaomi power banks is known for its affordable price and great quality that’s why it’s always sold out in Lazada. 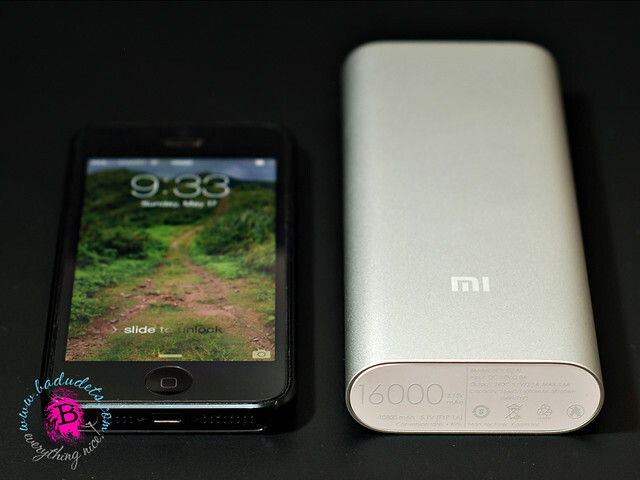 I was lucky I now have my Mi power bank, with 16000 mAh juice to boot. 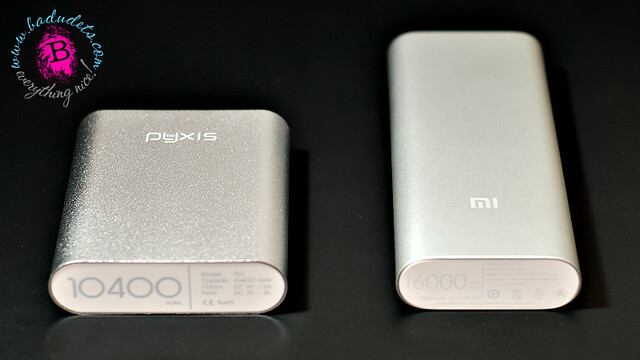 I like the look of the Mi power bank, it looks sleeker and classier than Pyxis. Mi reminds me of the feel and look of Apple gadgets. With 16000 mAh capacity, it’s capable of 3.5 full charges for Redmi Note 4G, 5 full charges for iPhone 6, and 2.5 full charges for iPad mini. The four lights represents how much charge is left in your power bank. When you press the power or capacity check button, the LEDs will blink, each light represents 25% charge. 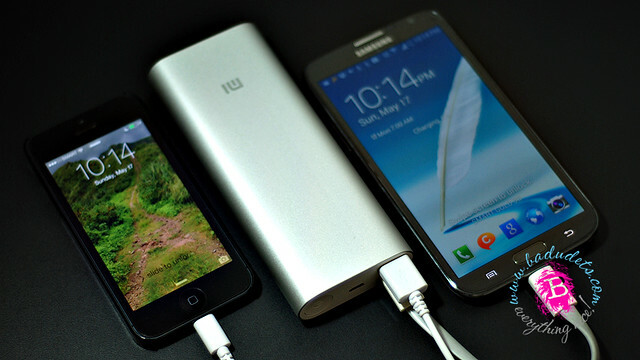 The Mi 16000 mAh power bank comes with a dual USB port outputs, which is perfect for charging two gadgets simultaneously. Do take note that while each port can output a 2.1 A current, it will yield a combined rate lower than 4.2 A. Geeky stuff and I don’t mind and won’t measure. As long as I can charge 2 gadgets at a time, I’m fine. 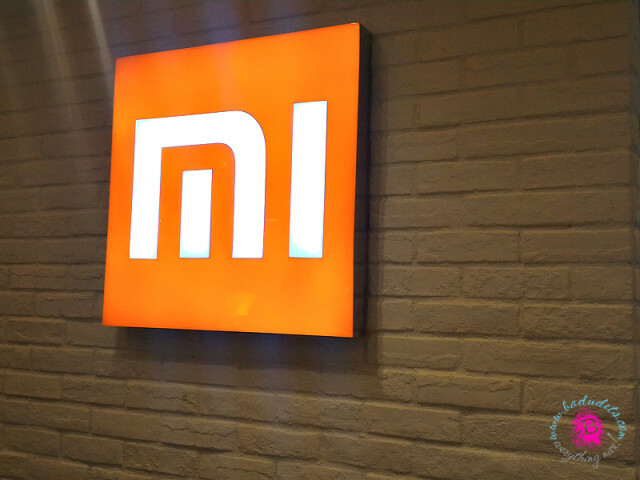 According to Mi’s website, Mi Power Bank automatically adjusts its output level based on the connected device. 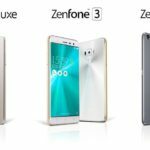 It is compatible with smartphones and tablets from Mi, Apple, Samsung, HTC, Google and BlackBerry, as well as a variety of digital cameras and handheld gaming devices. 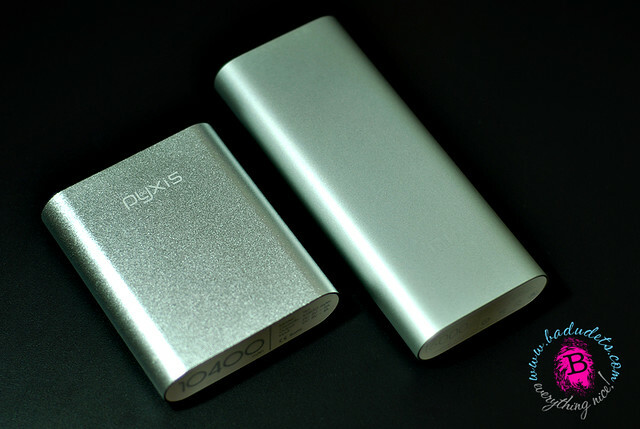 The only disadvantage of this 16,000 mAh power bank is its weight. It can be heavy if you’re used to carrying compact bags. 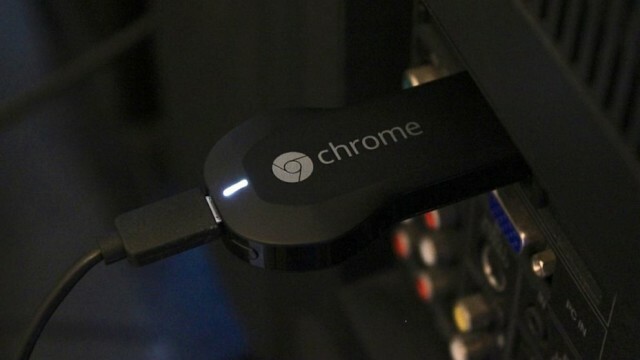 Also, it only comes with one cable, with two USB ports, at least they could have added additional cable, and make it longer too. 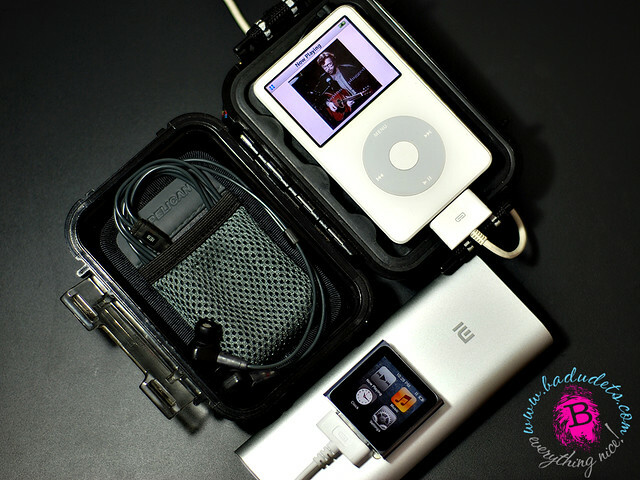 Overall, this is a must especially if you carry multiple gadgets everyday such as your phone, tablet, and gaming devices. With Xiaomi’s 16000 mAh power bank, you’ll never run out of battery again. Thank you for the review. 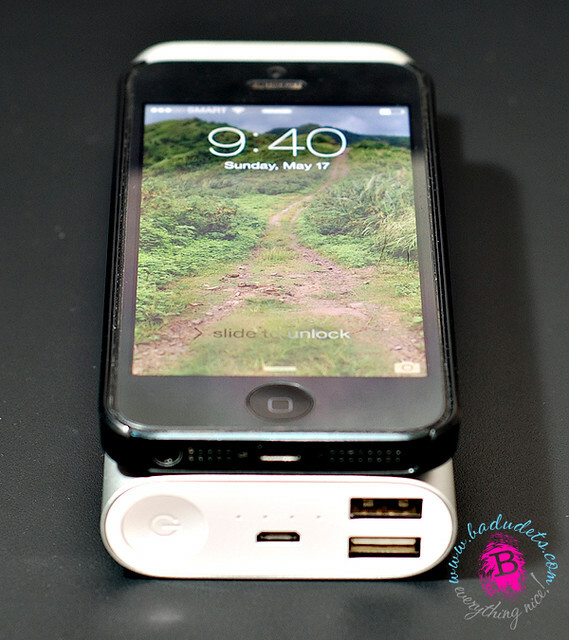 Awesome how you can charge two gadgets at a time! Great review Badet! Sino gumagamit nung Pyxis? I have several power banks, most given as gift, and they don’t last long. I wish I can have one of these powerbanks. It’s nice that the powerbank can charge two devices at the same time and can go on several cycles. 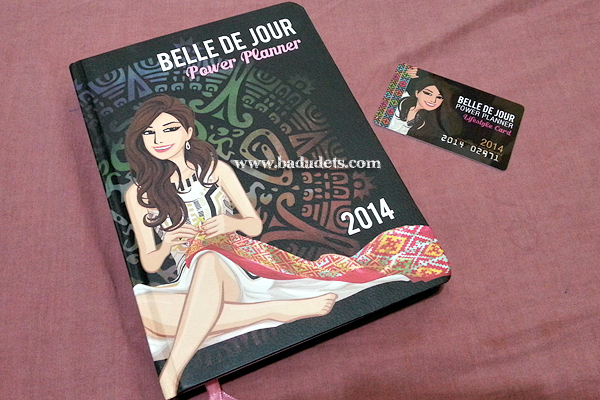 Thanks Berna, I loved it .. looks cool and useful!